A meeting planners dream come true. When the finest dining and backdrop are critical to your event, the Northlake District boasts over 1,300 hotel rooms, Columbus’ premier shopping and restaurants, along with connectivity to I-185, and two major highway systems that allow your attendees to move about the city like pros. Build your meeting itinerary around some of the best Columbus has to offer – exquisite banquet facilities, gold, and so much more. Ask our Meeting Planning Professionals for all the details. The hub within the MidTown District is the Cunningham Center for Leadership Development, which can customize programs for professional development, leadership training, team building, plus a variety of business activities specific to your need. Located adjacent to the main campus of Columbus State University, this state-of-the-art facility is convenient to hotels, shopping and retail, restaurants and more. 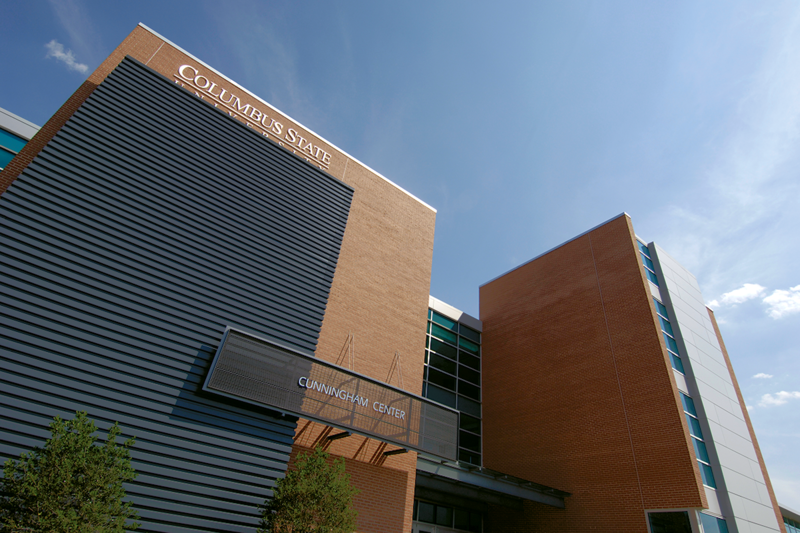 Also on the main campus of Columbus State University is the Elizabeth Bradley Turner Center. Equipped with up-to-date audio/visual technology, reliable Wi-Fi, and knowledgeable support staff, this facility provides the resources and support to ensure success for your conference, lecture, class, meeting, or banquet. 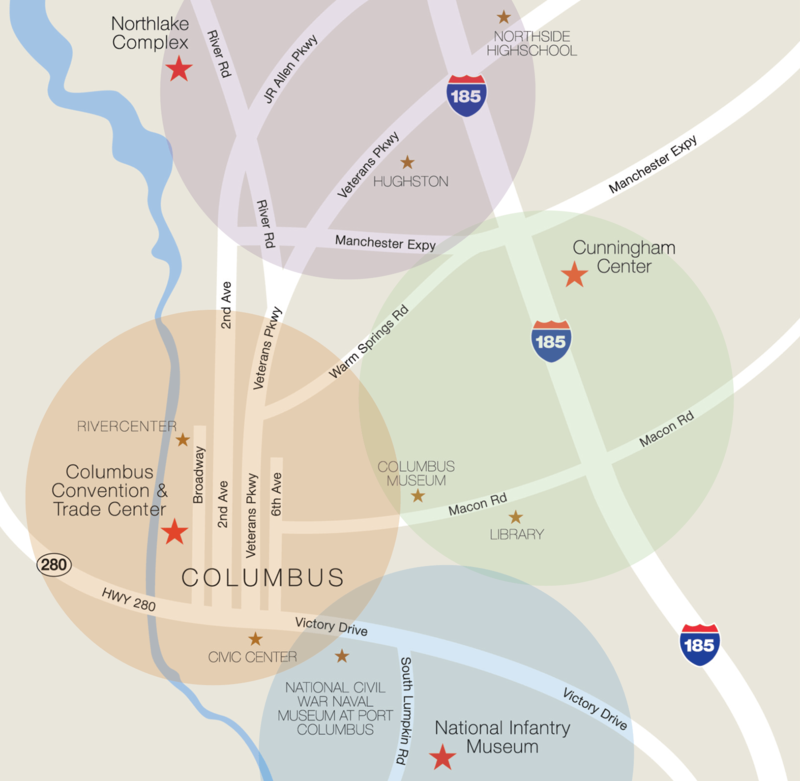 The MidTown meeting district is conveniently located near I-196 and the Columbus Metropolitan Airport. 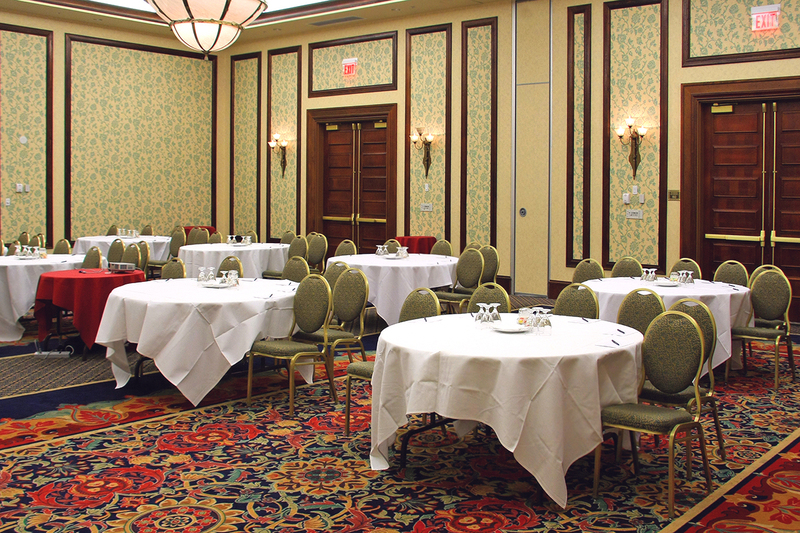 And with over 1,600 quality hotel rooms, you’ll find the perfect place for your meeting attendees to stay in Columbus. If you’re looking to get the work done by five and let the good times roll at night, the Uptown District is the place to see and be seen. 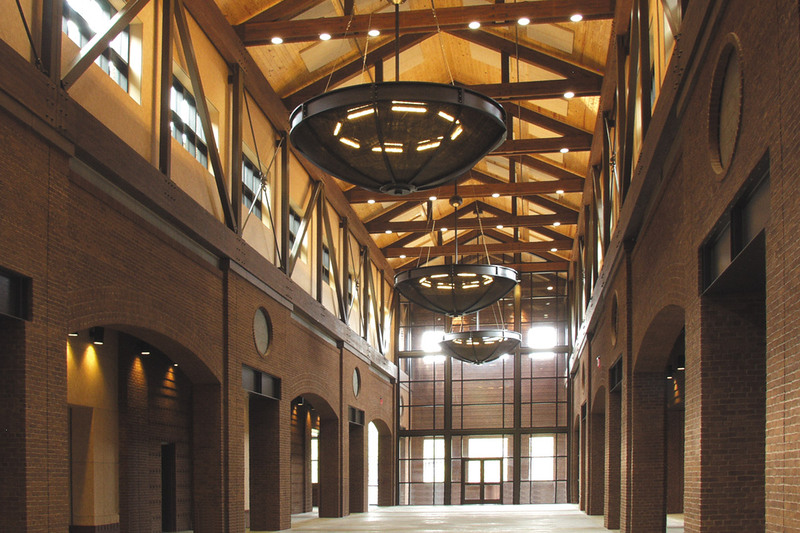 This historic area boasts over 500 hotel rooms, a 2,000 general session hall, a 10,000-seat arena, and 200,000 sq. ft. of meeting and exhibit space. Close by is the Uptown Entertainment District with fine and casual dining, nightlife, performing arts venues and more. Here you’ll even find the state Theater of Georgia – the stunning Springer Opera House. Flexibility is the concept behind the Columbus Meeting District plan. And the Victory District another great option to help the planner meet expectations, goals, budget, and ultimately success. 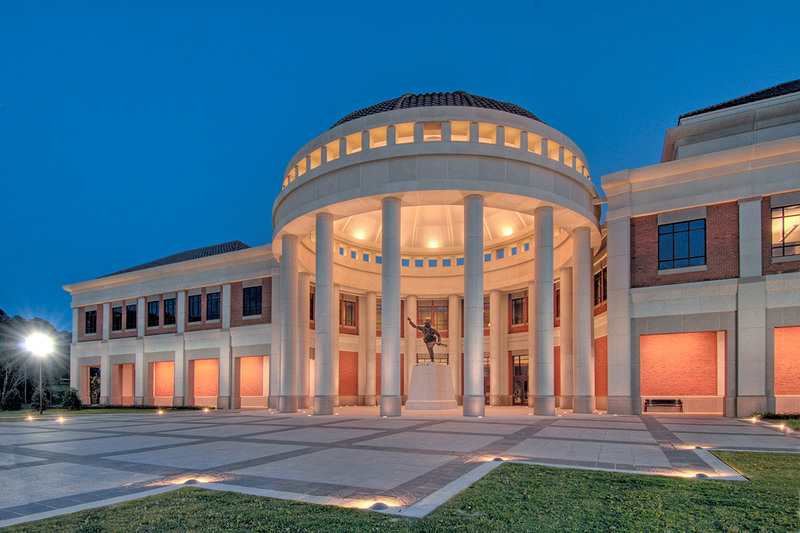 The Smithsonian-quality National Infantry Museum is the centerpiece of this meeting district. Its grand hall, breakout rooms, large theater for general sessions, and powerful presentations are nothing sort of breathtaking. Couple that with the Infantry’s rich military heritage and over 750 hotel rooms in the district, and you’re sure to find the perfect place for your next event.